THE son of Fred ‘Baggy’ Bates and his wife Ada, Douglas worked for his early years at his father’s shop on Wharf Road, which specialised in cycles and fishing tackle. And it influenced in his sport, being a keen cyclist and a very enthusiastic angler. He was a long-standing member of Grantham Angling Association and taught fishing to youngsters on the Duke of Edinburgh Award Scheme. Following the closure of the business, he ran the general store on Denton Avenue, and was a storeman at BMARCo. In his later years he found a new passion in bowls, both indoor and out. Terry Bates spent his school years in Morton, attending the primary school and then Bourne Grammar School. During his schooldays, he played cricket and football for the village teams. After leaving school in 1947, he completed two years of National Service with the Sherwood Foresters Regiment and on discharge qualified as a teacher at Kesteven Training College, Stoke Rochford. He specialised in physical education during his time at Carnegie College, which is now part of Leeds Metropolitan University. Mr Bates returned to Morton when his father became ill.
After teaching spells at Lincoln Road Boys School, Peterborough and The Aveland High School in Billingborough, he joined Bourne County Secondary School., now The Robert Manning College. There he met his wife Sue, a fellow PE teacher. He spent nine years’ teaching at the school, during which time he was elected to the Bourne Urban District Council and became a trustee on Bourne United Charities. He also became a successful manager of Bourne Town Football Club between 1968 and 1972. He steered the Wakes to three championships between 1969 and 1972. 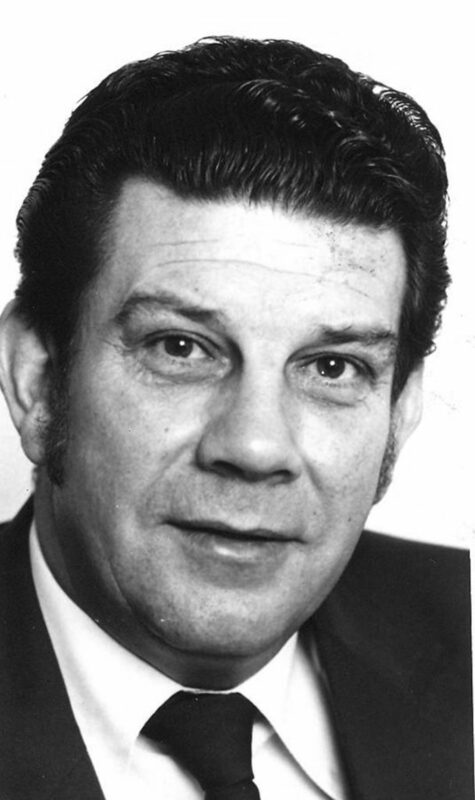 In 1972, Mr Bates left teaching and moved to Wrexham in North Wales, where he was appointed chief leisure and recreation officer with Wrexham Maelor Borough Council. One of his first projects was the development and opening of the Plas Madoc Leisure Centre in North Wales, a site which bears a plaque with his name. Mr Bates played for Wrexham Football Club and in 1977 he took over as youth development officer of the team. 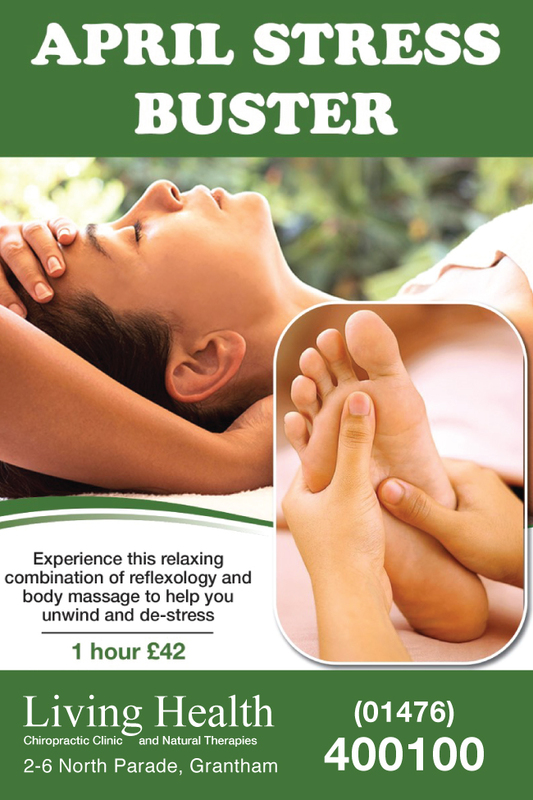 After three years he moved back briefly to the area, working to open the Toft House Hotel and then as a physiotherapist at Peterborough United. He then spent time in Kent and Humberside as leisure manager. In 1982 he returned home to become manager of Grantham Leisure Centre, in Union Street, which had been upgraded from the Quincentenary Swimming Pool. During the late 1980s, Mr Bates had a voluntary role as general secretary of the National Association of Young Cricketers, which he held until his retirement in 1991. He became chairman of the United Counties League in 1984 and held office until 1995 when he became president. After leaving that position in 2001 he was made an honorary life member of the competition. He also managed and coached both the Lincolnshire county senior football and cricket teams and is a former chairman of the Lincolnshire Premier Cricket League. In 1991 he became a member of Lord’s to build up the England development of excellence scheme. He spent 13 years there including time as director of administration and development for the National Cricket Association and then national development manager of the England Cricket Board when the two bodies were merged. He moved on within the English Cricket Board to become chairman of the Cricket Foundation, retiring in 2003. DONCASTER-born Jill Lester came to the Grantham area in 1973 after marrying pharmacist Noel Baumber. She moved with her family to Hamburg and Bremerhaven after the end of the Second World War then settled in York, attending St Anne’s School there. She studied medicine at St Andrew’s University, becoming vice-president of the Students’ Union. As a hospital doctor, Jill worked in Dumfries, Chester, Wakefield and Shotley Bridge, before entering general practice at Saxilby, near Lincoln. She joined joined the Long Bennington Practice in 1973 and five years later started the Trent Road Surgery. 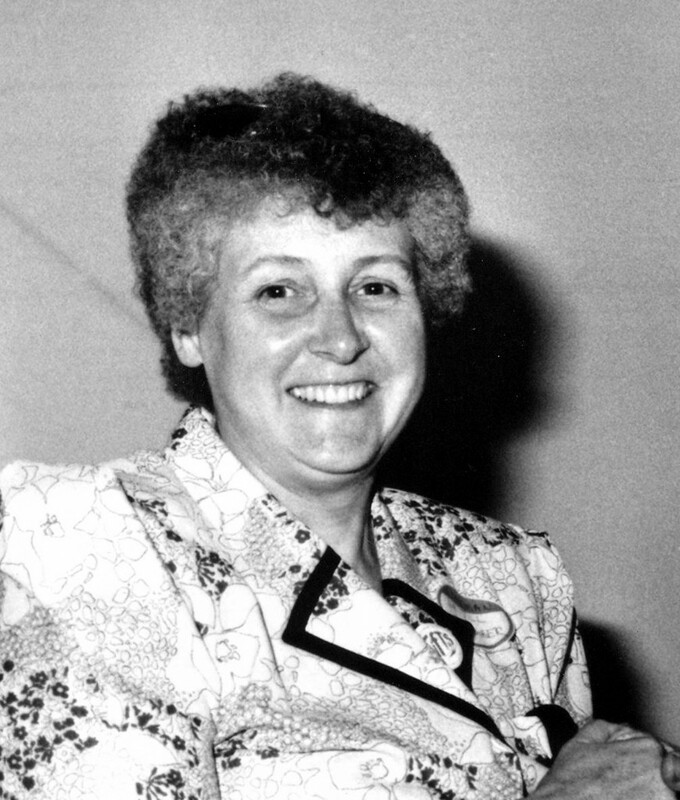 She established Vine House Surgery in 1982 where she practised until she retired in 1996. Dr Baumber founded GIFTS (Grantham Initiative for the Terminally Sick) Hospice charity in 1990, which later became St Barnabas. She was awarded an MBE for her work with the charity in 2005. BORN at Irnham, sport played a big role in Frank Baxter’s life. The eldest of nine children, he began his career as a joiner on Irnham Estate. After the end of the Second World War, he formed a joiner and decorating business, Baxter Bros, with his three brother. As a cricketer, he played for Irnham, Corby Glen, Harlaxton and Belton Park. But is sporting reputation was made off the pitch, as a director of Grantham Football Club for 28 years, 18 of them as chairman. He even found time in the 1970s to build the bench-seating for the northern stand at the club’s London Road Ground. He also liked music and played both violin and banjoleli in then 1930s, as a member of both the Olympian Band and the Accordian Bandits. 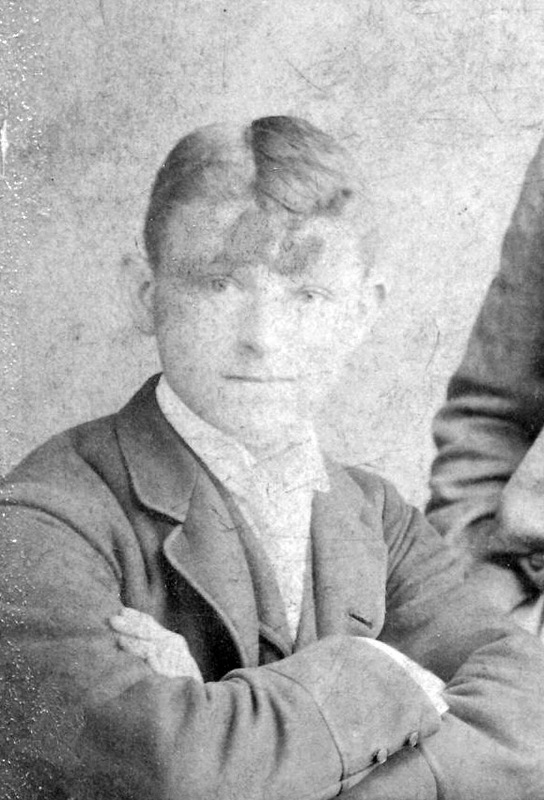 JAMES Oliver Baxter was a pupil at Spitalgate Boys’ School, and although he passed his 11-plus had to stay on as his parents could not afford his move. During the Second World War, Jim Baxter began work as a bricklayer improver helping to build the air raid shelters around Grantham before enlisting into the Royal Navy on his 18th birthday. He served on cruisers in the Mediterranean and minesweepers in the Irish Sea. After he was demobilised in 1947, during a really hard winter, there was no work on the building sites so he got a job with Grantham Co-op delivering milk, with a horse & dray, around the Cherry Orchard estate and the new houses around the Tennyson Avenue area. Jim supplemented his income by working as a sweep in the afternoon. It was at this time he met and married Gillian Woolley. He left the Co-op and started working for himself full time. 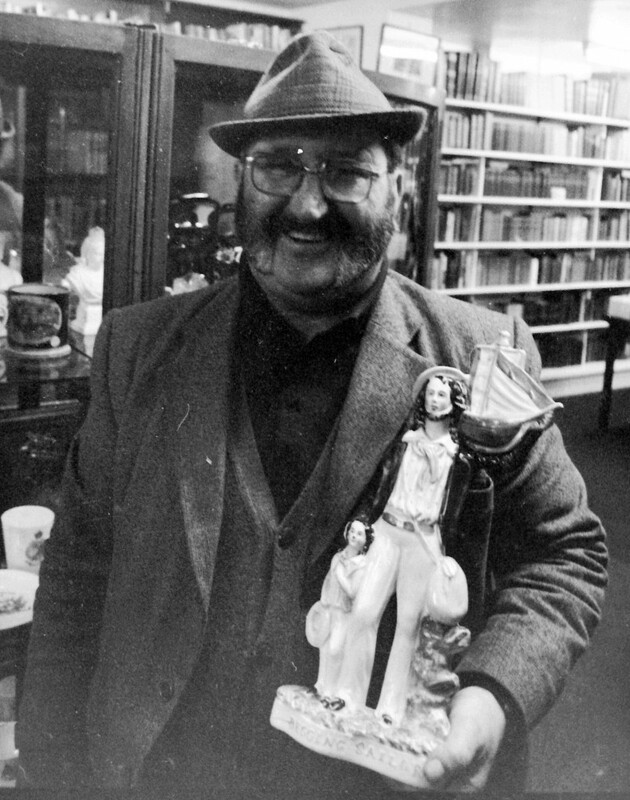 First he had a market stall in Wide Westgate until 1957 when he bought the old Hand & Heart pub on Wharf Road, where he ran a second-hand furniture business called Jim Baxter’s Victorian Bazaar before concentrating on beds becoming Jim Baxter Furnishings in 1983. He closed the shop when he retired in 1994. For several years he was also a gang master supplying potato pickers etc to local farms. JAMES Robert Baxter was a master painter and decorator and a partner in the Grantham-based firm, Baxter Bros. He enjoyed cricket and was reputed never to have dropped a catch. He also played football for Corby Glen. He joined the Royal Engineers on the outbreak of war but was taken prisoner at Dunkirk in May 1940 in France and taken by barge to Poland where he remained for six years. He returned to Irnham in 1959 to run the village post office, which had been in the family for many years. He then signed the business to his wife and worked as a maintenance man for Irnham Estates until he retired in 1980. NOTTINGHAM-born Joseph Beech came to Grantham as a two-year-old, where most of his family already lived. While attending Cliffedale School (1998-2005) and The King’s School (2005-2012) he was successively a chorister and then the inaugural Organ Scholar at St Wulfram’s Church, studying the organ with Tim Williams and the piano with Sally Anthony. In this latter role he was responsible for playing the organ at the majority of large-scale events both at in Grantham and further afield including: services at York Minster and Lincoln, Coventry, Peterborough and Salisbury Cathedrals; a concert tour of Germany; the choir’s first CD recording ‘O magnum mysterium’ in 2009. As de facto Sixth Form Organ Scholar at The King’s School, he played for all of the school’s services and concerts and was Musical Director for the school production of ‘Beauty and the Beast’. After leaving The King’s School, Joseph moved to Windsor Castle to be Organ Scholar of St George’s Chapel, home to a professional choir which sings for eight services each week. In this capacity Joseph had the great privilege of meeting HM The Queen and the Earl of Wessex; he also performed in the presence of HRH Duke of Edinburgh, HRH Duchess of Cambridge, THR Earl and Countess of Wessex – and Bear Grylls! He was responsible for the organ playing at the laying up of fellow Granthamian Baroness Thatcher’s banner in St George’s Chapel, a centuries-old ceremony performed after the death of a Knight or Lady of the Garter. He also taught at the choristers’ school, St George’s School, where he was Assistant Musical Director for the school production of ‘Oliver’ at the Farrer Theatre, Eton College. After two terms as Organ Scholar at St George’s, Joseph acted as Assistant Organist for his final term – a not inconsiderable challenge for an 18-year-old. After a year in Windsor, Joseph left the castle for the city, and is now an undergraduate student at the Royal Academy of Music (RAM) in London, where he studies on a scholarship with internationally-renowned organist David Titterington. He has had a fruitful first term at the Academy, including performing in front of HRH The Duchess of Gloucester and RAM alumnus Sir Elton John. 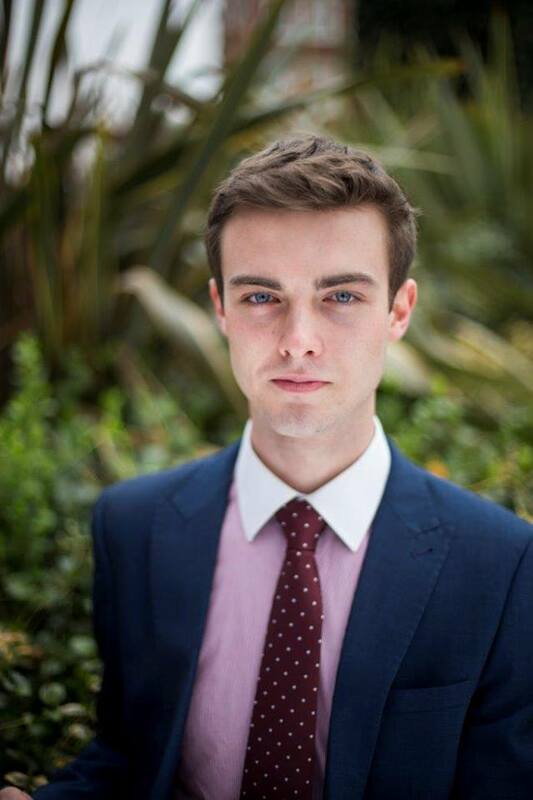 Alongside his studies Joseph is currently Organ Scholar at HM Chapel Royal, Hampton Court Palace where he is responsible for playing half of the services, giving regular recitals and assisting with the training of the boy choristers. In 2014, he took up the same position at the London Oratory, arguably the most senior Roman Catholic musical foundation in the country. Then in January 2016 Joseph Beech became William and Irene Miller Organ Scholar at St Paul’s Cathedral for the academic year 2016-2017. Then in May 2017, he was appointed Assistant Master of the Music at St Mary’s Cathedral, Edinburgh. Joseph still hasn’t lost touch with his hometown, frequently returning to play at both St Wulfram’s Church and The King’s School, and in the wider Grantham community. WILLIAM Beech was one of Grantham’s foremost musicians. He was conductor of the Empire Theatre orchestra and was musical director of the Opera House, Buxton. Grantham-born, he joined the Army aged only 11 as a drummer boy. He also played violin at Army concerts. He was on the staff of the 4th Lincolns, stationed Grantham, and while here was leader of the Grantham Philharmonic Society’s orchestra. When the battalion was at the Isle of Wight, he was in the band chosen to play for late Queen Victoria, at Osborn House. Mr. Beech left the Army after completing 24 years service, then for a spell became landlord of the Blue Boat Inn, Old Wharf Road. He then began to take seasonal engagements as a musician in various parts of the country and among the places he visited was the Opera House Buxton, in Derbyshire, where he became musical director. He returned to Grantham each winter, where his father, brother and himself had their own band, called The Excelsior. In the course of their many engagements they played at Belvoir Castle, and the Grantham Hospital Ball. Mr Beech, who lived on Dudley Road, was also a member of the orchestra at the Theatre Royal for many years and during the latter part his service was musical director. He also gave lessons in music, and many of his pupils became members of orchestras. BORN in Buckminster, Albert Beecroft joined the Grantham Borough Police in 1928 and became something of a legend. He was a respected member of the force and it is legendary that if he caught people drinking after time they would be ‘fined’ in the form of buying him a drink. Small boys knew that he was allowed to meter out punishment but usually responded to a good ‘ticking off’. 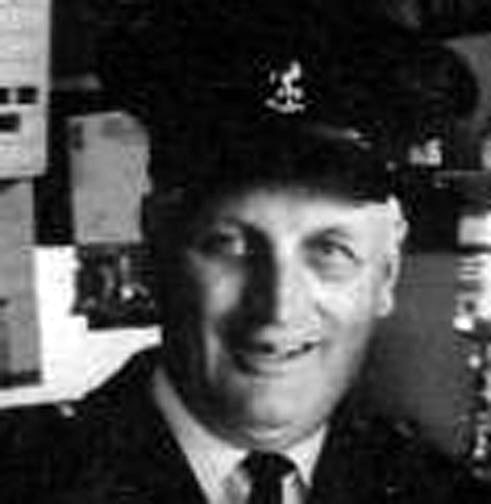 He retired from Grantham Police in 1954 and joined Aveling Barford as chief security officer. BORN at Thorpe, near Newark, he was the grandson of William Beeden, a Freeman the Borough Grantham. He was educated at the Grantham National and British Schools, in Grantham, and for 16 years was with the firm of Messrs W. B. Harrison and Sons, Watergate, from which retired, and took over the old-established business the late Mr. Andrew Ross, draper and clothier, on St Catherine’s Road, where he also lived. The same year he married Emma Weatherhogg at the Congregational church where both had been active workers for many years. In about 1911 he began to take an interest in public affairs. 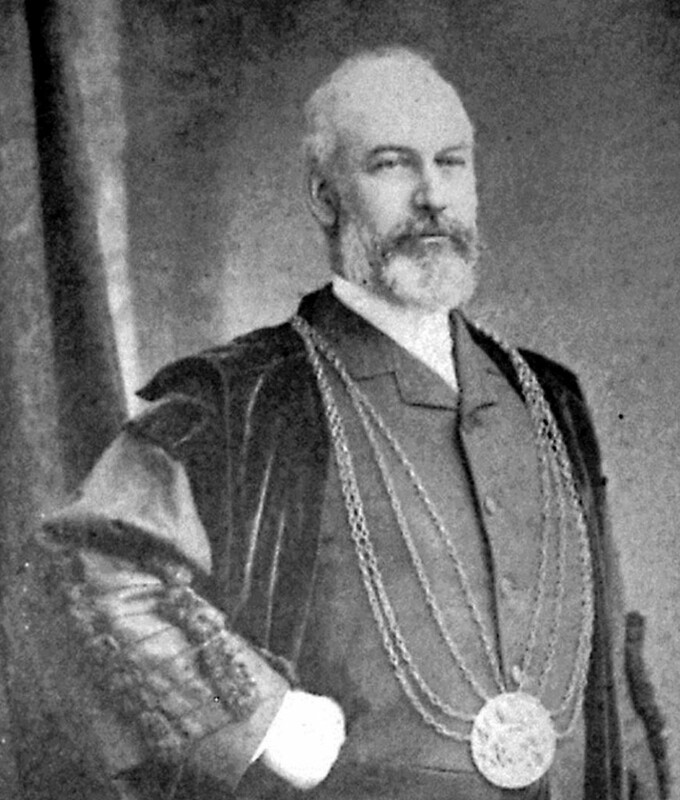 At that time, the question of the Public Library and Museum was promoted, and Alderman Beeden undertook the secretaryship of the movement for which worked most assiduously. In 1913, having been invited to seek municipal honours, he contested the West Ward, but was not successful. At the end of the Great War in 1918 he won the East Ward seat. In 1922 he offered himself for re-election, and was returned with an increased majority. On the death of Alderman Rear in 1924, he was elevated to the aldermanic bench and the following year became Mayor. In addition to the important work did in connection with Civil Defence as member that committee, in the Second World War, he carried out the duties chief air raid welfare officer. Outside his council work, his chief interest centred in the National Savings movement, with which became associated before entered the Town Council. When the local savings committee was formed in the borough he became hon secretary, and continued this office until last month, when he was compelled to resign for reasons health. For this work he was awarded an MBE. The two outstanding achievements during his secretaryship were the War Weapons Week effort in March, by which £200,714 was raised in the borough—more, than double the target and the passing of the million pounds mark in national savings the week prior to his resignation from the office, a feat accomplished in 19 months. War Weapons Week was undoubtedly the most ambitious effort ever undertaken in Grantham from the point of view of National Savings, and it fell upon the shoulders of Alderman Beeden to bear the burden of the organisation. Aid Beeden’s greatest work as a member of Town Council, were in connection with housing. Right from the time entered the council had been a member of the housing committee and for the greater part was its chairman. 602 houses were built during his service on the committee. The first scheme was that put into operation immediately following the last war and known the Addison scheme. This was the Earlesfield estate on Dysart Road, which was for 120 houses, a large number of which cost £1,000 as they were constructed a time when building materials and the cost of labour were very high. As the war began, he was behind the 227 houses, which are being built using concrete substitute for timber and flat roofs. For his work on housing the estate was named after him – Beeden Park (even though many still refer toi it as the Flat Tops, which they are no longer). Charles Bell was a British architect who designed buildings in the United Kingdom, including over 60 Wesleyan Methodist chapels. Born in Grantham, he was educated at Grantham Grammar School. He was articled to London architect John Giles. In 1870 he was elected an Associate of the Royal Institute of British Architects and started independent practice. Peter Bell was an artist, curator, and art critic who played an influential role in the development of the visual arts in Newfoundland and Labrador. Bell was born at Grantham, at the end of the First World War. As a young adult, he worked briefly for an insurance firm before enlisting in the British Armed Forces during the Second World War. When hostilities ended, he moved to South Africa. He studied architecture at Cape Town University from 1947 to 1949, and then completed a Bachelor of Fine Arts at Rhodes University in Grahamstown. Upon graduation in 1952, he accepted a teaching position at the Ndaleni Art School in Natal. He became head of that institution in 1959. Bell left South Africa in 1963, after his vocal opposition to apartheid led to a brief arrest. He moved to Newfoundland to teach art at Memorial University and to curate the institution’s Art Gallery (now The Rooms Provincial Art Gallery). During Bell’s tenure, the gallery’s collection grew considerably and in 1967 it was relocated from the Henrietta Harvey Building on Memorial University campus to the more spacious Arts and Culture Centre. Bell stepped down as gallery curator in 1972 and became Memorial University’s Artist in Residence. From 1973-1980, he was the visual arts critic for the Evening Telegram. Bell became noted for his blunt, and sometimes scathing, reviews and for his thorough knowledge of the field. All the while, he worked steadily on his art. He painted in oil and acrylic on masonite and made serigraph prints. He differed from most Newfoundland landscape artists at the time in that he did not focus exclusively on the Newfoundland environment. He drew inspiration from his private greenhouse, which he stocked with huge exotic plants and small tropical birds. View From My Studio, a series of paintings about his home in Outer Cove, depicts the lush ecosystem in which he lived and worked. Another of his better-known works, Day Haunt of the Siffleur Montagne, was inspired by the Caribbean island of Dominica, which he and his family frequently visited. Botany was another of Bell’s passions. He and his artist wife Charlotte Macnee, established an orchid business in Outer Cove, where they built the first geodesic dome house and greenhouse in Newfoundland. 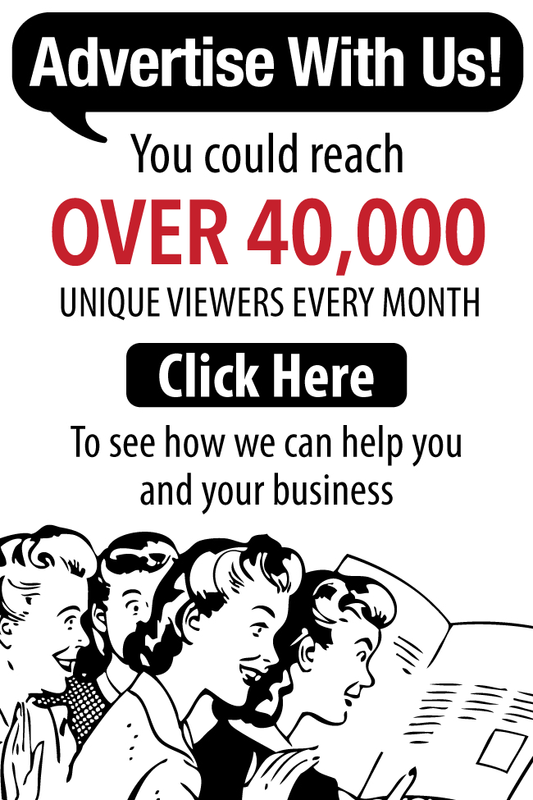 For several years they published the nationally distributed Canadian Orchid Journal. They eventually abandoned the orchid business and journal to devote more time to their art. Bell exhibited his work internationally, as well as across Canada and the province. In 1985, he was commissioned to paint a mural for the West Block of the provincial government’s Confederation Building. In 1987, the Memorial University Art Gallery organized a retrospective of his work, and in 2001 and 2002 he participated in the Toronto International Art Fair. In 2008, The Rooms Provincial Art Gallery launched a solo exhibit of his work, entitled Peter Bell’s Alternative World’s. It consisted of 25 works that were produced from the early 1960s until 2006. The exhibit was the first in a series that The Rooms organized to highlight important figures in the development of the visual arts in Newfoundland and Labrador. Bell’s work is included in many private and public collections, including The Rooms Provincial Art Gallery’s Permanent Collection; the National Gallery at Cape Town, South Africa; the Canada Council Art Bank; and the Simon Fraser University at Burnaby, BC. Bell and Macnee moved to Kyle of Lochalsh, Scotland, in 1987, but they returned periodically to Newfoundland to visit relatives and friends. He died in September 2015 at the age of 97. 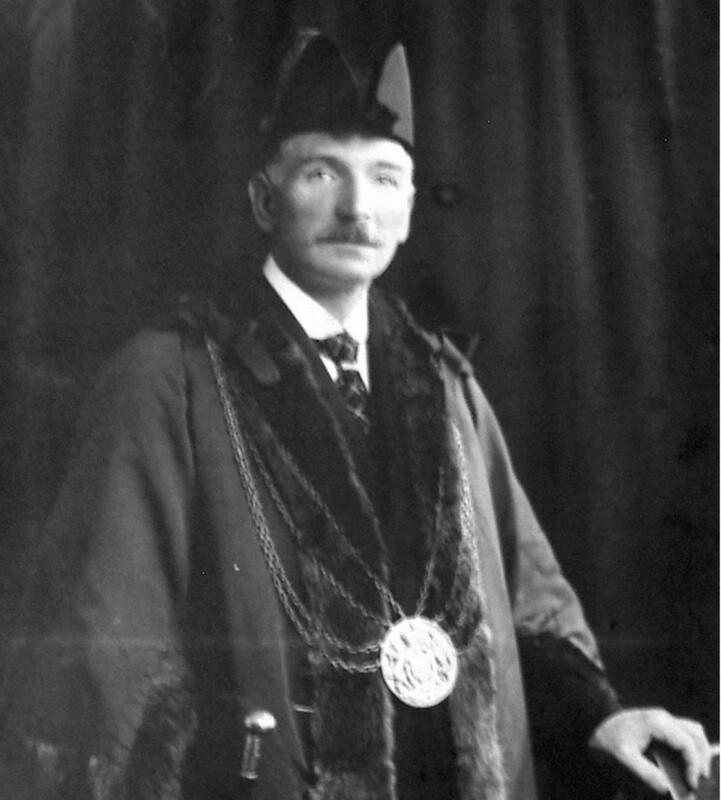 WHEN Alfred Rowe Bellamy died as Grantham’s last remaining Freeman of the Borough, the town owed him a debt it could never repay. It was only his intervention in 1930 which prevented the town’s major employer Ruston & Hornsby from closing down the Grantham works and transferring everything to Lincoln. Had that happened, it would have been catastrophic. He was a director of the company, and it was for his services to the town he was made a freeman in 1937, only the fifth to receive the honour. Raised in the Isle of Man, his advent into engineering arose through an accident on a penny farthing cycle. He came from a poor family who couldn’t afford to buy him one, so he built his own. Out on it one day, he nearly collided with a pedestrian who turned out to be the manager of a local factory. He was so impressed with Alfred’s work, he offered him an apprenticeship in Manchester. He specialised in gas engines and became a director of Andrews of Stockport. When that company merged with Richard Hornsby & Sons in 1905, he came to Grantham. CHIEF Buyer at Henry Bell & Co, was born at Langwith Colliery, Notinghamshire. The family moved to Grantham when his father got a job with Bell’s as a wrought iron craftsman. Horace joined the firm in 1916 and stayed with them for 51 years. He worked his way up from office boy to chief clerk then became a Fellow of the Royal Institute of Corn and Agricultural Merchants. His job kept him in contact with nearly every farmer in the area. In his youth, he was keen on motorcycling and was secretary and treasurer of the Grantham and District Motorcycle and Light Car Club from 1926-1931 and used to race at the Syston Park track, near Barkston, home of the first races in the UK. Horace received his trophy from Graham Walker, father of the legendary Murray Walker. The track closed in 1933 following the death of Sir John Thorold. During the Second World War, he was a member of the Royal Observer Corps, based in Grantham. He was a member of Grantham Bowling Club and Grantham Town and County Club. Mr Bellamy became an almost fanatical supporter of Grantham FC in the 1960s/70s and if he couldn’t get to a match would ring up for the result. MANY of Grantham’s most prestigious houses were built by Samuel Bentley-Rudd. 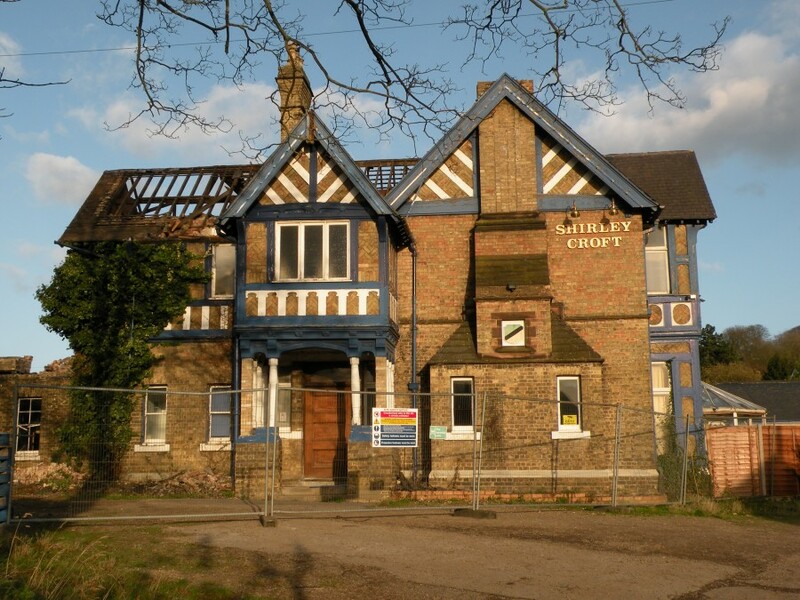 Their usual hallmark is a half-timbered effect, such as Welby Gate, Shirley Croft and Norman Leas. But his work was not confined to this town. He built churches in Hornsey and Gospel Oak, London, as well as in Epping, Aslockton, Llandudno, Harrogate and many more. He also built the ill-fated Denton Manor, Brookwood and Chichester Asylums and the bank at Deptford cattle market. Grantham-born, he was educated at John Hardwick’s School in the town then joined builder John Rudd, whose company was formed between 1920-30. He continued to run Rudd & Co until his death. A member of the Town Council, he was Mayor in 1886-87, the latter being Queen Victorian’s Golden Jubilee year, when he planted an oak tree on St Peter’s Hill Green to mark the occasion. He was appointed people’s warden at St Wulfram’s Church in 1875 and served in that capacity for 41 years. He repaired and refitted the crypt as a memorial to his foster parents and restored the south porch in memory of his daughter who had died in infancy. A member of the Diocesan Conference, he was also a magistrate and a member of the Board of Guardians. He was also a trustee of Dawson’s, Hursts, Triggs and Acomne’s charities and a manager of the National Schools. Twice married, his first wife Mary Woodcock died in 1873. Five years later he married Ann Kirk, whom he only predeceased by two weeks. SIR Simon Warley Frederick Benton Jones, 4th Baronet, of Irnham Hall, Irnham, is the son of Sir Peter Fawcett Benton Jones, 3rd Bt and Nancy Pickering. 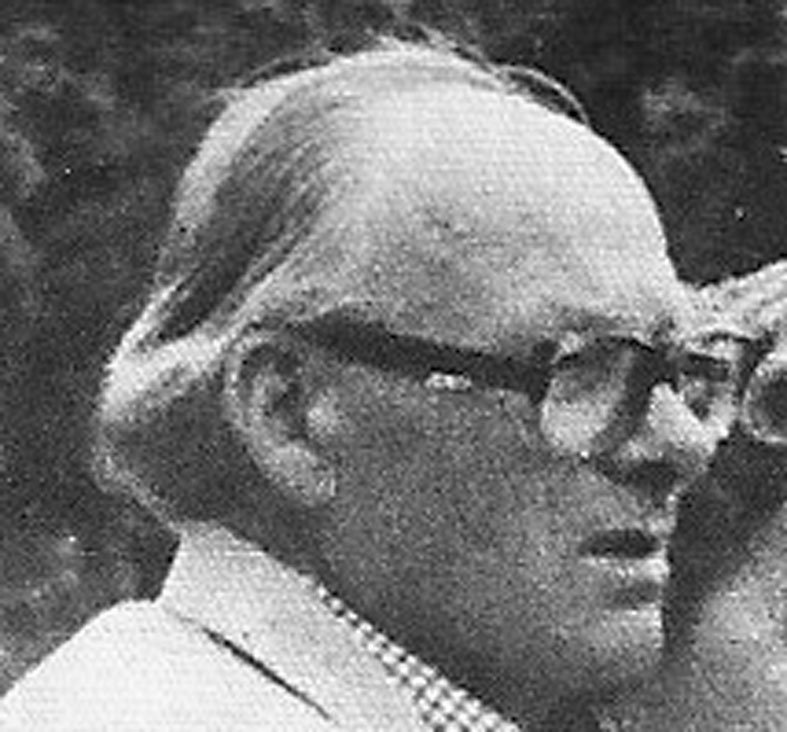 He married Margaret Fiona Dickson, daughter of David Rutherford Dickson, on 14 April 1966. Sir Simon was educated at Eton College and graduated from Trinity College, Cambridge University, in 1963 with a Bachelor of Arts degree and later an MA from the same college. He succeeded to the title of 4th Baronet Jones of Treeton, in 1972. He was a magistrate between 1971 and 2000 and was High Sheriff of Lincolnshire between 1977 and 1978. He was chairman of the Lincolnshire Magistrate’s Court between 1996 and 2000. Sir Simon was president of Stamford & Grantham Conservative Association, an office had held since 1982. He once played the part of himself in the 2007 US TV series American Princess. FASHION designer Antonio Berardi has been compared to great talents Dolce and Gabbana, Alberta Ferretti and Emporio Armani. Born in Grantham Hospital he grew up in Billingborough where his Sicilian parents, Guiseppe and Concapina, ran an ice cream business. After leaving Carre’s Grammar School, Sleaford, he took a BTEC in fashion design at Lincoln College of Art but at first his application to the fashion Bachelor of Arts program at Central Saint Martins College of Art and Design at the University of the Arts London was rejected. He began working as an assistant to John Galliano shortly after. In 1990 he applied to Central Saint Martins for a third time and was accepted. He graduated in 1993, and in 1994 created his graduate collection which caught the attention of Angela Quaintrell, a buyer for London fashion holding group Liberty. With financial backing from Liberty he produced his first fashion week collection in 1995, under his eponymous label. Kylie Minogue was the show’s main model. Victoria Beckham named him as her favourite designer and commissioned a dress for her wedding reception, a suit for David and some baby clothes. In 1998 Berardi also designed under Italian label Ruffo Research, while maintaining his own label. The following year he negotiated a partnership with Italian label Extè. 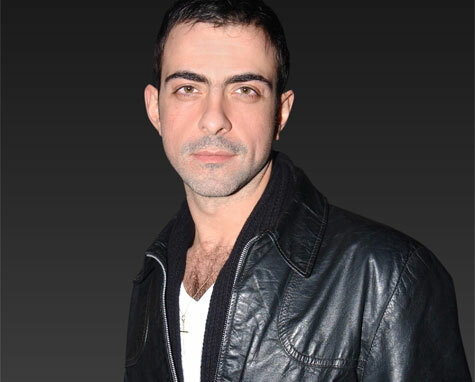 He became the label’s head designer, and Extè also produced his own line but he left them in 2001, since when his label has been backed by fashion group Gibo. Now based in Milan, Antonio designed a bobbin lace dress for Naomi Campbell. It was crafted by 14 skilled lacemakers and took them more than three months to make. His Anglo-Italian roots showed in the 2001 Milan show; Italian flair with a dash of old England, featuring sharply tailored Edwardian suits, waistcoats and frock coats. Berardi designed a coat illuminated with light bulbs that lit up to form a crucifix, shown at his autumn/winter 2003 collection in Milan. His design was commended for its technical and artistic achievement by the fashion press. Perhaps his most famous design was a trompe-l’œil corset dress in a black-and white color scheme, featuring lace detailing, worn by Gwyneth Paltrow in November 2008 at the premiere of the film Two Lovers. Berardi’s dress was praised by fashion journalists for its “combination of the graphic monochromatic look and body-conscious silhouette” and was named the “Dress of the Year 2009” by Harper’s Bazaar magazine. 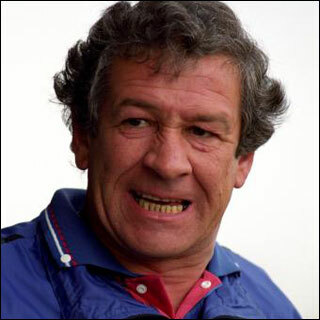 Daniel Alberto “Danny” Bergara de Medina was a Uruguayan footballer and manager who also managed Grantham Town. Born in Montevideo, Uruguay, Bergara began his playing career at the age of 16, playing for Racing Club in the Uruguayan First Division, picking up a handful of under-21 caps for Uruguay, before moving to Spain in 1962 where he was top scorer for Real Mallorca for four seasons and Sevilla for two seasons. While playing in Spain Bergara married an English travel guide, Jan, and when he retired from playing football they moved to England. Bergara coached the reserve teams at Luton Town and Sheffield United before getting his first managerial job at Rochdale in August 1988. In 1989, after seven months at Rochdale, he took over as manager of Stockport County. Bergara is one of the first Football League manager who did not speak English as a first language. He was also the first manager born outside the British Isles to lead an English club out at Wembley, when he took Stockport County to the 1992 Autoglass Trophy final. 1993-94 was his last full-season in charge of The Hatters another trip to Wembley losing to Burnley 2-1 again, referee David Elleray controversially sending off two Stockport players Mike Wallace and Chris Beaumont. The only time the same side has ever had two players sent off at Wembley. Just before the end of the 1994-95, Bergara stepped down as Stockport manager but such was his esteem, in 2012 the club renamed the Main Stand of their Edgeley Park ground after the popular Uruguayan. Shortly after leaving Stockport, Bergara joined Sheffield Wednesday as assistant to David Pleat, but after one season departed to become manager of Rotherham United, during this stint, Rotherham had one of their worst seasons ever on record. Bergara left following the poor season. A brief spell at Doncaster Rovers followed, during which time the club were featured in the 1998 Channel 5 ‘fly-on-the-wall’ documentary “They Think It’s All Rovers”. For the 1998-99 season, he was manager of Grantham Town, who had just won promotion to the Southern League Premier Division. 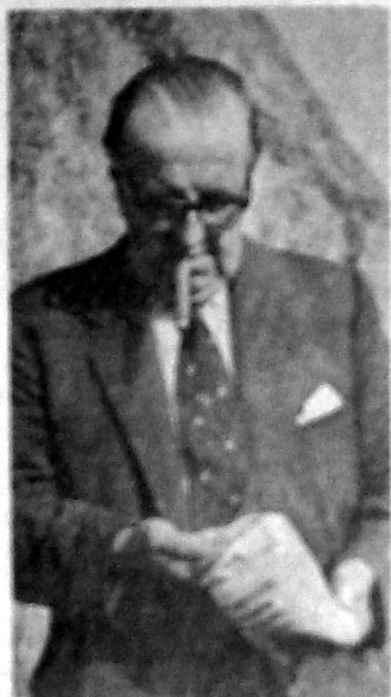 He was brought by the club’s controversial chairman Reg Brearley. A string of poor results saw Bergara become the club’s Director of Football and Chief Scout, with Tony Kenworthy, becoming manager. Later he scouted for Sunderland. Bergara died after a short illness one day after his 65th birthday. Mr William Frederick Berridge (Willy) was born in 1944, the son of Ada and Ted Berridge. He lived in and around Grantham all of his life. At the age of 16 he began an apprenticeship as a painter at Foster’s. Five years later he went to work at Syddall’s Roofing Company, where he stayed for five years. In his mid-20s he became a self-employed roofer, working alongside Bellamy roofers. Mr Berridge had many feathers to his bow and while being a self-employed builder, he became the odd job man for Caddy Castings. Mr Berridge was a keen Manchester United Football Club supporter. He also liked to play darts, dominoes and cribbage, and was three times winner for the inter-town trophy.